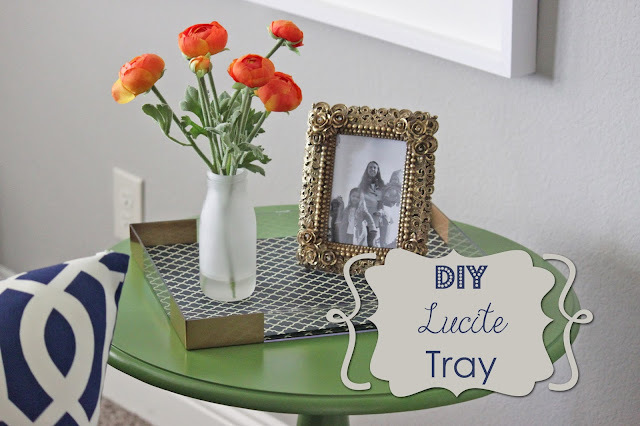 I love the look of Lucite trays! They are super classy, but run a little spendy for me. I mean, it's just a plastic box. So, I found some Pinterest inspiration, and crafted my own. It turned out just like I hoped! This honestly couldn't be easier! SUCH a simple project. Start out with a clear acrylic frame. I got mine at Hobby Lobby (use a coupon!!). Remove all the packaging and the backing. You are left with a clear tray! To dress it up a little, use a 12x12 piece of scrapbook paper. I used a little tape to attach the paper to the bottom of the tray. At this point, I was loving how it looked! After a few days, I just felt like it was missing something. Does anyone else obsess over stuff like this? Oh, it's just me! I decided to add some brassy accents. Not too much. That meant painters tape and spray paint! Start by taping off your corners. Decide how much paint you want on each edge. I went for a rectangular look, you could do a square. Flip over your tray and tape off the bottom. You only want to spray paint your corners. Next, pull out your favorite spray paint. Mine is for sure this lovely brass color by Valspar. I have used it on quite a few projects lately. Give it 2 or 3 coats, with plenty of dry time in between. Gently peel off your tape. I started doing a happy dance here. Lovely!! Put your scrapbook paper back in the bottom, and you now have a *very* classy Lucite tray! Fits right in with our new upstairs living room! super cool tray! I have a lot of those frames lying around, this is such a great idea! thanks for sharing! I like the plain version. :) This is such a good idea. I love clear acrylic organizers but they are SO expensive for what they are... going to have to peruse the frame section to see what I can come up with! Love this. This would be perfect for my desk! You rocked it. Linking over tomorrow!!! Thank you so much for linking to the Whimsy Wednesday Link Party! I featured you in today's roundup! This is so awesome! I too love the trays, but don't want to spend the cash on them when I know they will end up scratched or worse. 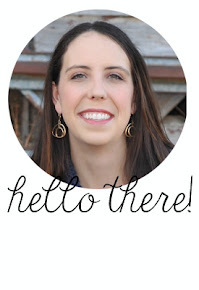 Love love this idea and your lovely blog!